A few people email me asking for sound samples of the exhausts etc, sometimes I keep them on file but after a while I tend to lose the files somewhere in the vastness of Computer space and never get them back. So today I shall add a few sound bytes that I have done over the years to try and help just a little as to what my Exhaust systems sound like on these inline Fours. Been doing these over 17 years here now and am very proud of that fact, none of that china stuff many others use, and then say its theirs and made in USA, all made right here in Anaheim California. OK-if you need more information, you can email me on carpy@carpyscaferacers.com or if you like, you can drop a text to me or a Dime for that matter at 714-598-8392 and I am more than willing to help you out if you need photos or info for the 4 into 1 system of mine. Also check out ALL the exhausts on the parts page too. That was a 1978 Super Sport and the next one up is an earlier model that you can sample on here. Next up a K4 model. Here is a K6-K6 Model with the Yoshimura style 4 into 1 system of mine on it. Below is another exhaust system from me but this time its for a CB350 and CB400, now this has a Fully packed baffle, a little too muffled for my liking, but it is what the Customer wanted. A little louder version and this bike had not run in years and was first start up too. Another Raw steel one but this time on a CB400-4, this sounds pretty good for a bike that had not been fired up in many many years. Another Customers video of my exhaust on his CB550 Honda. This is a customer video, not sure if he has the baffle but still great to hear. Here we have a CB750 that a Customer had made a video of, with my pipe, see what you think, sounds crisp eh? Here is one of my Custom versions, the Razor and the Hot Rod as well as the Sidewinder. Many moons ago I built the F-Bomb and it sure was too! Hold your ears for this exhaust system I made. 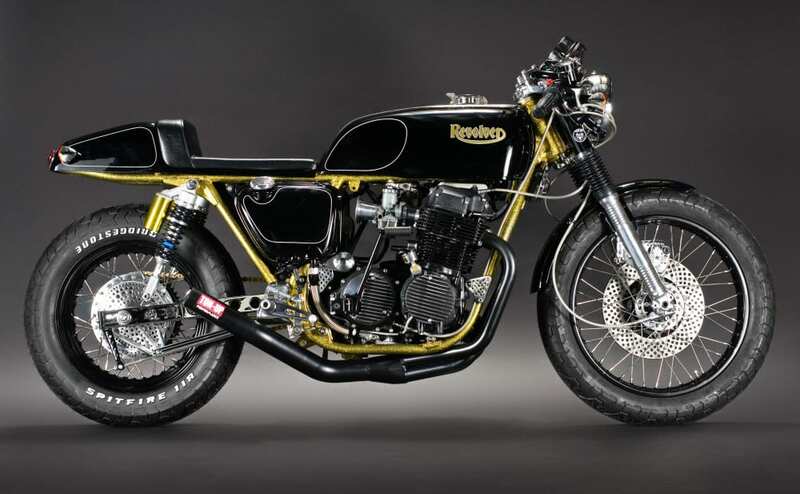 This entry was posted in For Sale and tagged 4 into 1 exhaust, 59 club, 750-4, brat, cafe racer, cb750, cb750a, cb750f, cb750k, Ceramic, classic, custom, drag, Honda, inline four, japanese motorcycle, performance exhaust, rockers, stainless steel, ton up, tracker, yoshi.